Fresh off his Oscar win for best adapted screenplay for "BlacKkKlansman," Spike Lee on Tuesday will unveil his latest project: "Words Matter," a short film starring Michael B. Jordan. Lee shot Jordan, the global face of Coach men's wear, in the desert outside Los Angeles last fall and together they picked the words featured in the narrative that are intended to offer up a message of inclusivity, courage and optimism. The film, which launched on Instagram today, opens with Jordan riding a motorcycle through the dusty desert landscape. When he stops and dismounts, he discovers rocks scattered around with negative words - hatred, evil, bigotry and lies - written on them. He then sets out to replace the rocks with others showing a positive message: courage, truth, love and dream. "Collaborating with the iconic Spike Lee on this short film for Coach was an inspirational experience," Jordan said. "Spike's art has moved the cultural dial for decades. I'm proud of the powerful messaging of this film and to be working alongside a brand that cares about putting that narrative into the world as much as I do." 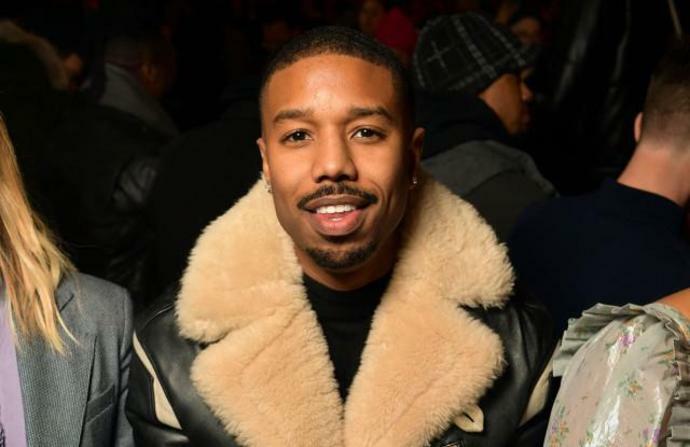 "I'm honored to get to collaborate with giants in their respective fields, Michael B. Jordan and Coach," Lee said. "It was truly a magical day working, shooting in the desert. Enjoy." In addition to this film, Coach will continue the conversation over the next several days by releasing other short films featuring Lee's children, Satchel and Jackson, as well as the artist Whisbe and Nets player Spencer Dinwiddie.